CEO of Platinum Boy Music is just one of his titles. From being one of Diddy’s Bad Boy/Hitmen producers to to being a judge on MTV’s ‘Making His Band’ to touring with one of the hottest R&B stars to grace the stage, Amadeus is definitely one of the most talented men in the music business. After the jump, get details on how Amadeus got into the music business, his role as Trey Songz’ Music Director and Drummer, his BIGGEST accomplishment, working with over 50 artist, and what he MUST-HAVE on the road and in the studio. 1. How did you get your start in music? I got my start in music early in the 4th grade. I will never forget being absent on the day my class got to choose instruments for band class. Upon my return there were only the violin and percussion as options. At that time I definitely wasn’t going with the violin LOL, so I chose percussionist which included the drums. As I began to take the band course the teacher and I realized that it was natural for me to play the drums. To make a long story short I continued drum playing throughout High School. It turned into producing as well. There was an easy transition with me already being a drummer & here I am years later as one of Diddy’s Multi-Platinum BadBoy/Hitmen producers & Trey Songz Music Director & Drummer. 2. Who are some of the artist you worked with? 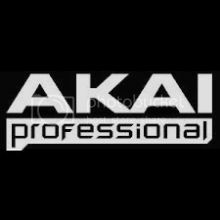 I’ve been fortunate to have produced for over 50 artists such as 50 Cent, Aasim the Answer, Bow Wow, Busta Rhymes, Cam’ron, Canibus, Cee-Lo, Cheri Dennis, Diddy, Danity Kane, Donnie Klang, Fabolous, Freeway, Foxy Brown, Gorilla Zoe, Jagged Edge, Jae Millz, Jeezy, Jim Jones, Joe Budden, Juelz Santana, Keyshia Cole, Keith Murray, Latoya London,Lil Mo, Lil Wayne, Lloyd Banks, Marques Houston, Mya, Mike Jones, Papoose, Paul Wall,Red Cafe, Remy Ma, Redman, Yung Joc, Slim Thug, Pimp C, The Lox, The Clipse, T.I, Trey Songz, Tony Yayo, Talib Kweli, Uncle Murdah, Young Chris and many more I tried to actually name em all! 3. How did the opportunity come about for you to be the Music Director for Trey Songz? I was in Houston recording & mixing records for Mike Jones and he called Trey Songz to get on a record. It was the record I produced. While in the studio working on the song titled “I Know” there was a drum set in the vocal booth. I said to Trey, “Yo I play drums so if you ever need a live band, be sure to reach out to me and I gotchu when the time is right.” A year later I got a phone call from a great friend of mine, Delante Murphy who was managing him at that time saying, “Yo are you ready to put the band together for Trey Songz?”. It was on after that, when I became Trey Songz Music Director/Drummer ongoing for 4 years now. We are killing stages every night all over the world. 4. What does a Music Director do? Im responsible for everything musically in regards to Trey Songz shows/performances. I selected the band members and work side by side with Trey, his management and production team. We make sure his vision, musically comes to perfection. 5. Give fans of Trey an idea of whats it’s like to work with Trey? Its very fun and exciting but also very challenging. Its fair to say that Trey is the hottest R&B male artist out right now. It’s his time and his moment, so the journey has been and will continue to be amazing. I’m glad to be apart of his journey and music history. 6. What is the hardest part about touring? The hardest part has to be being away from my wife, son & family. It’s rough at times but I have there true support and wouldn’t be able to do this if I didn’t have my family by my side! I am grateful for them. Besides that, its pretty rough and tedious traveling from city to city. Not getting the proper rest comes with the territory. Sleep and I are not the best of friends, so Im good! 7. What is your BIGGEST accomplishment in this business? I must say producing for over 50 artists has to be my biggest accomplishment in the music business. 5 Things You MUST have when in the studio and/or the road?